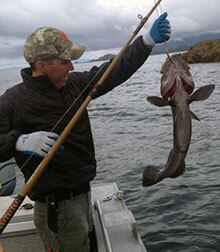 Ketchikan's cod sportfishing information from Baranof Fishing Excursions. Lingcod are excellent sportfishing as they provide you some great meat, a great fight, and a great photo. While their name is certainly deceptive, lingcod are not really a cod. Ophoidon elongates, as they are known scientifically, are actually greenlings of the Hexagrammidae family. Though they've been found much deeper, lingcod typically live at a depth between 30 and 330 feet, a habitat they share with other desirable bottom dwellers. You’ll often find yourself landing lingcod alongside Yelloweye and halibut– sometimes simultaneously. Lingcod can be found from the Aleutian Islands to Baja California, and include a flourishing population in Southeast Alaska. You'll frequently find them populating rocky reefs, where a current will create a pocket they can hang out in while they wait for prey to swim by overhead. They also breed in similar areas, depositing their eggs where current and wave action keep other fish from hanging out in the area. After laying the eggs, the female takes off and leaves the male to guard them. The males become significantly more aggressive while they're guarding the nest however, and are often victim to predators as they inadvertently reveal themselves. Once the male is no longer on guard duty, the nest is usually destroyed within a couple of days by the rockfish themselves, as well as other predators. Once hatched, lingcod larvae float around on the ocean’s surface currents. They grow rapidly, and after a few months move to the bottom in areas protected by kelp and continue to feed on other small fish. Then, after about two years, they move to those rocky reef adult habitats. Males live about 14 years, while the females can live for a couple decades and, like halibut, grow much larger than the males. Deepwater fish with air bladders die when you pull them to the surface. Lingcod are fortunate in that they have no air bladder, which means when you catch one too small, you can throw it back with a clear conscience and keep looking for the big one. This lack of an air bladder also allows them to hunt at any depth, so don't be surprised if you bring one home after a day trolling for Cohos or Kings. Due in part to their aggressive nature, lingcod can be overfished if not managed correctly. To that end, the Alaska Department of Fish & Game regulates this species by "reverse slot limit.” While this regulation is subject to subtle changes from year to year, what it basically means is that in addition to the amount of fish you can keep, they must be within a certain size range. For example, you can keep one lingcod between 30 to 45 inches and one at 55+ inches, per person, per year. This is meant to ensure that visitors to Alaska are able to enjoy harvesting this fish without damaging the breeding population beyond repair (keeping the fishery sustainable), but aren't forced to throw back a monster trophy fish. As previously discussed, this is practical because no matter the depth you pull the fish up from, the ascent won't kill them, as they don't have an air bladder that can expand, and cause internal damage that makes this sort of regulation impossible. A quick web search reveals that lingcod have a massive appetite. With canine teeth and a huge mouth, lingcod don't usually let go once they latch on. All too frequently a fisherman will pull up one fish, only to find a lingcod clinging on to its tail. 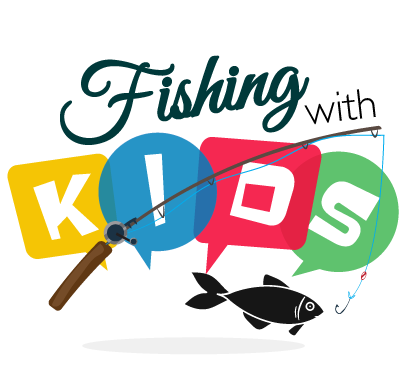 As long as you don't try to pull it out of the water before getting a gaff in it, you stand a good chance of getting two for the price of one – although the masticated fish you originally hooked may not be worth keeping anymore. Excellent sautéed in some butter and garlic, or herb crusted and seared, lingcod make for a delicious meal. If you're halibut charter fishing with us here at Baranof, we will be happy to take you out around Duke Island or the Percy Islands to grab a couple lingcod to round out your haul of bottom fish. Usually called black cod, sablefish is very popular in the Asian market, especially Japan. But get this: sablefish are also not technically a cod. Instead, sablefish (Anoplopoma fimbria) are a member of the Anoplopomatidae family, and only have one close relative in the family, called skilfish. Sablefish don't grow much over fifty pounds and aren't considered a trophy fish. (While they look similar, skilfish grow much larger and aren't commonly encountered). However, one of sablefish’s most desired traits it that they have a very high oil content, which makes them ideal for smoking with any salmon you bring home. In fact, one nickname for sablefish is "butterfish,” which gives you an idea of just how flavorful they are. If you’re targeting sablefish, you'll commonly be fishing below 1,000 feet, so using electric reels is the preferred method. If you’re fishing out of Ketchikan, we have a limited number of places you'll find any kind of sablefish population, so it's a bit of a unique passion. Even though a non-resident's yearly limit is only eight fish (with their average weight being only about 10 pounds), some folks come up here just to chase black cod, and we at Baranof Excursions are happy to accommodate these intrepid fishermen. Sablefish can be found along the Pacific continental slope, which ranges from the west coast of Russia all the way to Baja, California. Since sablefish live on the sedimentary ocean floor, longlining is a popular method for subsistence and commercial fishing, but they are often also harvested, along with other fish species, by trawlers. Though you won't likely be planning a trip to Alaska just for sablefish, keep them in mind when you come up here. Spending a couple hours pursuing this delicacy might just end up putting the cherry on top of your northern fishing adventure! Alright! We know you’re ready for it: this fish is actually a cod. You may be familiar with Pacific cod (Gadus macrocephalus) from the TV show The Deadliest Catch, as it's often used as bait for crab pots. While you won't find many Pacific cod mounted on a wall, they do make excellent eating, especially battered for fish 'n' chips. Lightly brined cod also makes for a delicious meal, and is one of our more popular dishes at the Alaska Fish House. Cod can be found at just about any depth down to 1,800', but the largest schools are deeper along the continental shelf. They are commercially caught in a variety of ways. Either with hook and line, pots, or trawling, when you get into Pacific Cod you're usually going to catch quite a few. They form massive schools, and can make up a large part of a Bering Sea trawlers haul. Pacific cod usually hang out at just about any depth down to 1,800 feet, but the largest schools can be found even deeper along the continental shelf. Pacific cod are commercially caught either with hook and line, pots, or trawling. When you come across Pacific cod you're usually going to catch quite a few, as they form massive schools. They often make up a significant part of a Bering Sea trawlers’ haul. Pacific Cod are one of the most recent additions to the long history of salt cod. Due to a lack of refrigeration until relatively recently, salt has long been used to preserve food for long-term consumption. This is especially true for cod, as the bulk of their natural oil is located in their liver—as opposed to the flesh as with salmon—which means they won't spoil quickly when dried out. Whitefish also share this trait, and this means of preservation was also used throughout Europe approximately 500 years ago. Whitefish were initially preserved in Norway, which was part of the trade triangle to the New World. The Grand Banks and Georges Banks were both successful cod fisheries for many years. Although the cod population was eventually unable to meet the demand due to overfishing, salt cod was still sold by using substitute whitefish. As folks of European descent eventually made it all the way to the North American west coast, a market developed that was serviced out of San Francisco. The European immigrant population, who had a taste for salted whitefish, provided excellent customers. From 1863 until 1950, Pacific Cod in the Bering Sea and North Pacific were harvested from sailing ships and dories. Even though we've traded salt for refrigeration as a means of preserving certain kinds of food, you'll still find saltfish (or whatever it's called locally) throughout coastal towns, especially in the Atlantic. No longer a necessity, this style of preparation will nevertheless forever be a part of the world menu, with Pacific Cod being a major player. So, when you pull up this ugly fish you never saw on a sport fishing show, you can take a certain amount of pride in landing a historical fish that was crucial to the development of the New World. Considering their school size and habitat, our guests on a Baranof bottom-fishing excursion will usually get into cod when they're looking for halibut or Yelloweye, so plan on additionally taking some home to prepare as fish 'n' chips with your family or friends. We offer both halibut and cod fish ‘n’ chips at the Alaska Fish House, and you may be surprised to find that many people, myself included, prefer the cod for this particular preparation.